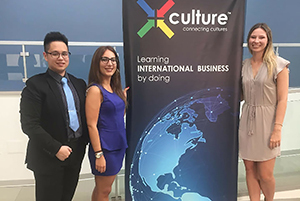 Andre Cheong, a UIU senior business administration major, is pictured with a couple of other students attending the Global X-Culture Conference in Macerata, Italy. 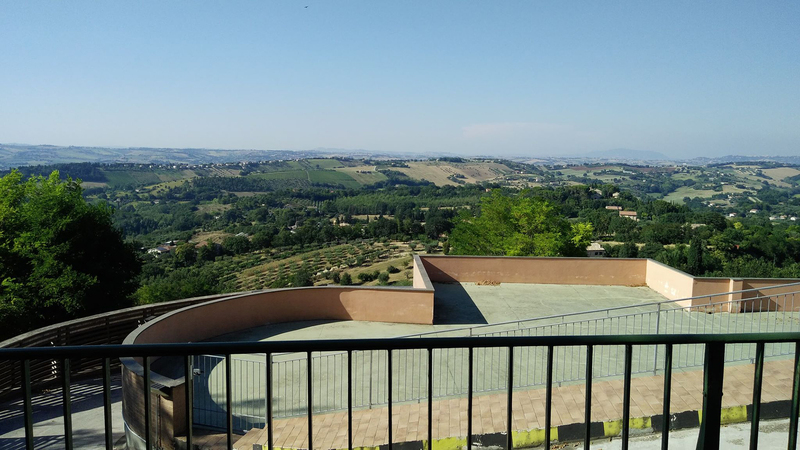 Upper Iowa University senior Andre Cheong experienced many of the mental and physical aspects of the business world during this past summer’s Global X-Culture Conference and Symposium in Macerata, Italy. Cheong was one of only 150 applicants selected in spring 2018 to attend Global X. A native of Kuala Lumpur, Malaysia, he was chosen from approximately 4,500 students and faculty worldwide who were originally invited to apply to attend the event. Unfortunately, the business administration major also suffered some of the negative aspects of travel almost immediately upon setting forth on his Global X journey. Cheong explained that shortly after his flight landed in Rome he was made aware that his luggage had been lost. Then after a travel delay and train ride totaling 13 hours, he arrived in Macerata, only to discover his room wasn’t equipped with air conditioning. Needless to say, due to the city’s 90-plus-degree temperatures, Cheong was especially grateful when his lost luggage arrived at his door a couple days later. UIU senior Andre Cheong took this photo outside Eurosuole, a shoe sole producer in Italy. As part of Global X, Cheong and his group of fellow students were assigned the manufacturer. Despite the initial headaches, Cheong quickly discovered the benefits of his journey. 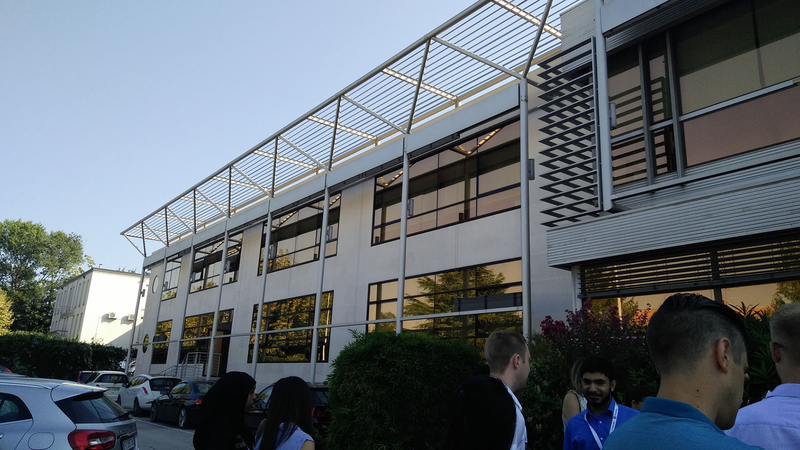 After the Global X participants were initially split into four teams, each group was assigned a company with the task of solving a challenge currently faced by the corporation. Cheong’s group was designated Eurosuole, a shoe sole producer in Italy. Following a tour of the manufacturer, they commenced on creating a strategy for the corporation to develop an updated social media platform. The results were then presented to Eurosuole officials in a business plan. In addition to making new friends, Cheong was especially grateful to meet University of North Carolina-Greensboro Department of Management Associate Professor Dr. Vasyl Taras and Global X host University of Macerata Associate Professor of Management Ernesto Tavoletti. He feels these experiences alone helped strengthen his personal connections and resume. A peaceful walk down the streets of Macerata. Cheong admits it wasn’t all business at Global X. 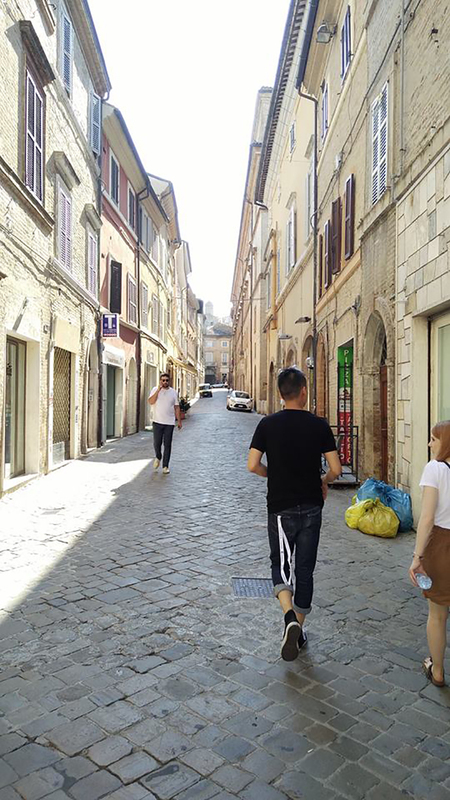 A scavenger hunt provided the visitors a small introduction to the city of Macerata. In addition to an endless menu of Italian restaurants and food to choose from, entertainment was provided by musical performers along the many city blocks as part of Macerata’s Opera Week celebration. The participants were also provided a gala dinner at the conclusion of Global X.
Cheong is quick to point out that his entire experience was made possible due to the X-Culture program, which is part of the global marketing course conducted by UIU Associate Professor of Management and Marketing Dr. Summer Zwanziger Elsinger. Cheong believes the UIU program provided the footprint for his ability to better communicate and overcome global challenges at Global X, such as working with people of various cultures and across different time zones. In addition to Elsinger’s educational instruction, Cheong feels that working with other UIU staff members provided him a competitive edge when it comes to the job interviewing process. From these lessons, he has learned the importance of preparation and understanding the company and industry to which he is applying. As witnessed by this scenic view, UIU senior Andre Cheong admits it wasn’t all business at Global X. Scheduled to achieve his bachelor’s degree this coming spring, Cheong plans to pursue a MBA at Upper Iowa to further enhance his professional portfolio. Cheong encourages current and future UIU students to take advantage of the opportunities provided to them and attend events such as Global X.